Proactive chat is a more sales-driven approach, one which allows your chat operatives to initiate conversation with visitors. 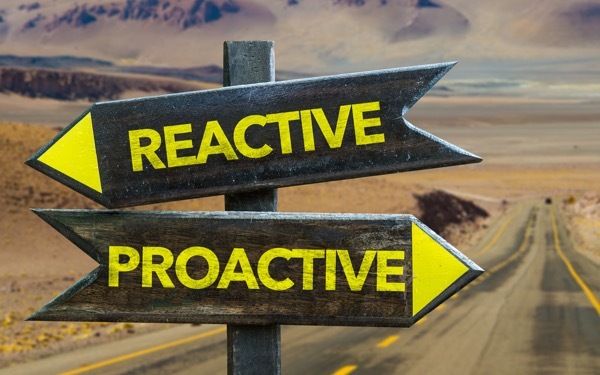 Proactive chat is usually triggered automatically, when users act in a certain way – for example, when a visitor remains on the check-out page for a specific period, a pop-up might appear. This window might draw the user’s attention to a specific deal, or invite them to ask questions. This can be seen as obtrusive by some people, but they don't have to respond to the chat request. If you do decide to use a time trigger, make sure it’s set to start a chat a few minutes after the average user time has passed – don’t put visitors off by asking them questions as soon as they log on. For B2C businesses proactive chat is commonly triggered by a user hesitating in a site’s checkout area. This function is designed to walk users through a sale if they stall or have a query. This ensures that full shopping carts aren’t abandoned and make it through check out. If appropriate, the representative can point users toward other purchases or services. Jumplead’s chat allows you to monitor active site visitors and open a conversation with a particular lead (identified from Jumplead's CRM), for example if you noticed that they visited your pricing or terms and conditions pages. There’s no doubt that live chat brings you closer to your visitors – giving your brand a human voice, and allowing you to respond immediately to their queries. Not only that, live chat is popular with users – some 92% of customers report feeling satisfied when using live chat, as opposed to 88% for telephone, 85% for email and 84% for Facebook (1). Increasingly, customers expect to be able to engage instantly with an organisation. 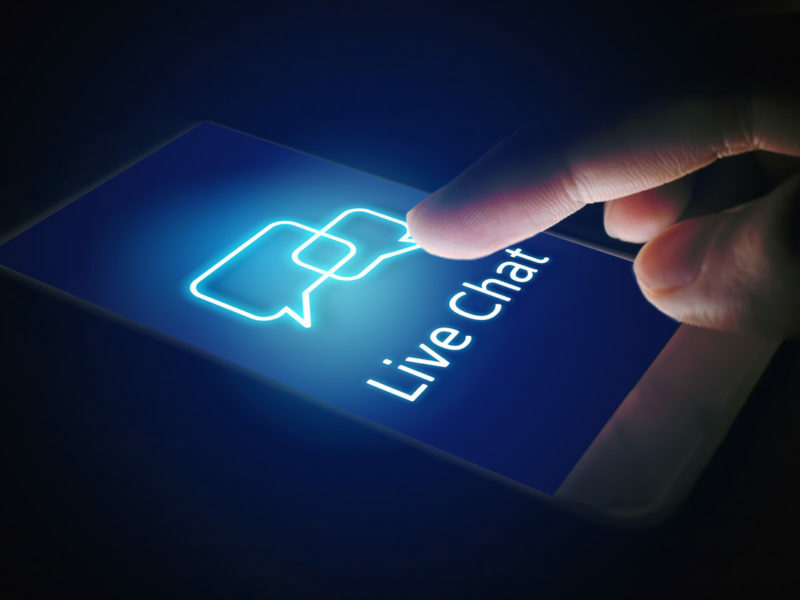 While live chat is one of the world’s fastest growing business technologies, many organisations are still resistant to implement it. So why don't more companies adopt this technique? One of the main reasons is an inability to monitor and manage the chat channel, as both parties need be present for the conversation to take place. This is where Jumplead's live chat helps to streamline the process. When chat operators are not detected, the software automatically asks visitors to add their email address to get a response. This creates a new contact and allows your staff to reply by email or the next time they’re logged in, combining email and live chat messaging into one managed system. Live chat is generally seen as a one way, real time conversation. For B2B businesses in particular though it can be much more than this, providing an attractive alternative to a contact form. The CRM and combined messaging inbox is also used to create and manage individual emails to your contacts. It’s easy to create a new conversation that is automatically associated with and saved against your contact. 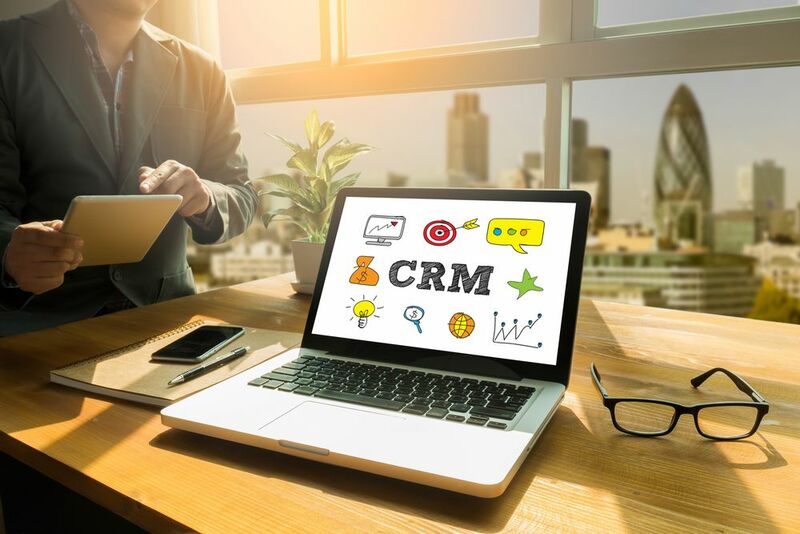 Anyone who’s tried to run multiple marketing tools including a CRM system and chat system knows that it can be tricky to keep information in sync. From a visitor's point of view, they've had a conversation with you via chat on your website; if you can't remember that or act upon it, it's your fault. This is why Jumplead auto-creates contacts and stores chat conversations in the contact's profile page, giving you a complete and actionable customer view. Storing conversations allows you to personalise future responses – giving users the sense that they are remembered and valued. While not every live chat will result in a sale, most will provide you with valuable intelligence information you can use to drive future sales and conversions. Chat transcripts are a goldmine of usable data, ensuring that you are better able to close sales in future. Transcript data allows site owners to refine their content, for example, if users are repeatedly asking the same few questions, you can be sure there’s an information gap on your website. Moreover, if users are encountering the same problem, your transcripts will help you troubleshoot potential problems. If you run a software service, this information could help you detect and resolve problems in real-time. Transcripts also help you ensure that your representatives are offering quality service. To make the most of live chat, make sure your chat representatives know your business, your inventory and the layout of your website. Don’t presume that someone good at handling telephone enquiries will know how to manage an online chat. An effective live chat gets straight to the point, long chunks of text are a no-no. One of the chief advantages of live chat is that it allows for greater clarity than voice communication. However, encourage your staff to sound human. Users don’t want to feel that they’re dealing with a robot. 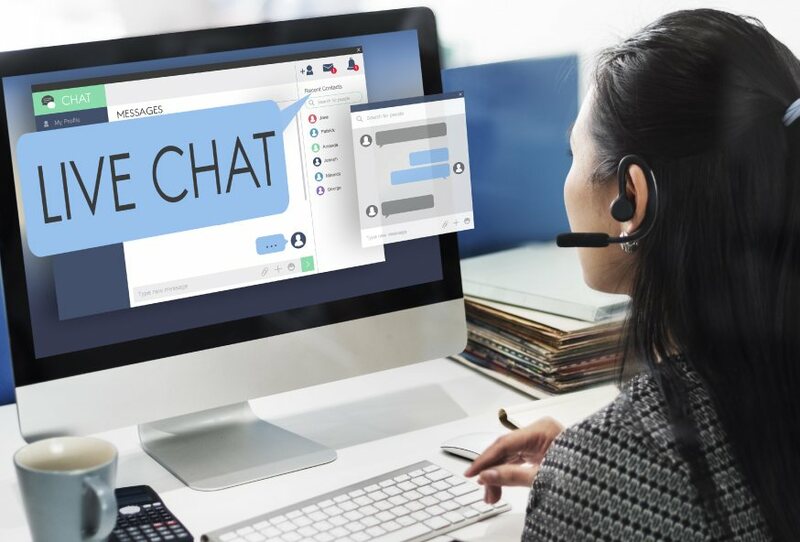 Live chat gives you an opportunity to engage clients with a human touch, so for the best results, hire experienced salespeople to manage your live chat. Your tone should be polite, but not formal; cheerful but not over-friendly. Jargon should be avoided. A ‘style guide’, complete with suggested responses to Frequently Asked Questions should be issued to all who manage live chat. Jumplead contains a number of great features to ensure that you’re able to answer user queries effectively. For example, it allows you assemble a chat team to handle responses. Users may think they’re dealing with a single sales representative, but in reality, a team can assist in drafting answers to queries, meaning that if one representative if stumped, a colleague can step in and assist straight away. This can save you money, as a small team of skilled representatives can handle a number of enquiries simultaneously, something that’s impossible if staff are responding to queries via telephone. Another useful feature is that it lets you customise the opening sentences of your greeting, reassuring users that they are interacting with a person. Used intelligently, live chat can dramatically improve conversions and sales. Get it wrong, however, and you risk turning users off. An effective strategy targets visitors who genuinely look like leads, or who seem to be stuck on your checkout page. Chat is a powerful tool that allows you to connect directly with potential customers that otherwise might not have entered your automated content marketing flow. It’s a great way to help customers with their queries whilst capturing valuable leads that can be carefully nurtured until they bear fruit. Adding live chat to your website creates a while new way to connect with buyers who are already on your website and checking you out. To install live chat you will need to add a unique piece of code to your website that is generated when you create a Jumplead account. Keeping a single customer view is becoming increasingly important, particularly when infomation is gathered that can affect how you want to deal with a particular buyer. This is why Jumplead combines live chat and CRM functionality. Having the two systems integrated in the same platform means that chat conversations are automatically saved to Jumplead's contact record for your lead.